If you know how to perform all four basic essential construction tasks, you are well on your way to success for building projects. The old carpenter’s adage of “measure twice, cut once” is very appropriate here. Always double check your work with squares, tape measures and levels before cutting, drilling or securing fasteners. It’s a lot easier to take a little extra time measuring now than taking a lot of extra time and effort later to undo poorly constructed structures, and then redoing them again the right way. 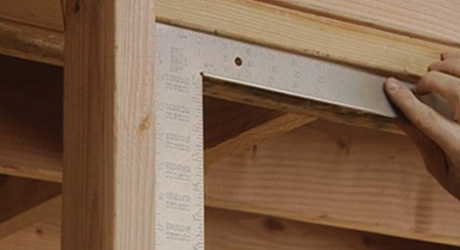 This guide shows the correct way to measure, mark, square and plumb for use in various construction projects. Marking for a crosscut is a three-step operation. First, square the end of the board you will be cutting. 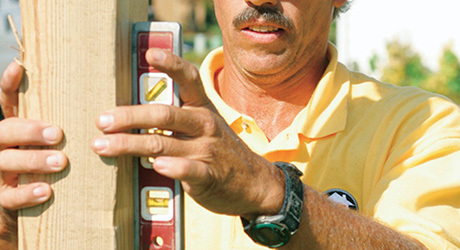 Then hook the tape measure on the end of the board and extend the tape until you reach the length for the crosscut. Make a "V" mark with a sharp pencil. Mark the waste side of the board with a large "X." Hold the point of the pencil on the point of the "V" and slide a layout square along the edge of the board until it touches the pencil tip without moving it. 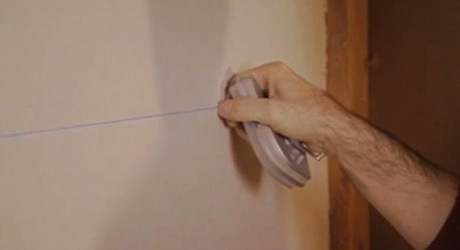 Draw a straight cutting line along the edge of the square. Hold the square inside or outside the joint and look along the lengths of both the tongue (short side) and the blade (long side). If you see light anywhere along either edge of the square, pull or push one or both of the boards until the square fits snugly. 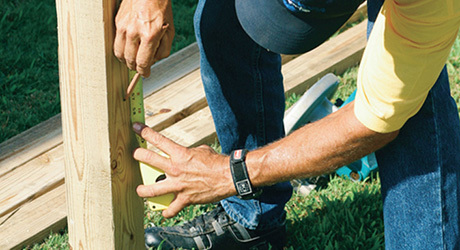 Use a 4-foot carpenter’s level to level framing whenever you have room for its length. Shorter levels may be thrown off by warps or waves in the boards. Boards are level when the bubble is centered in the vial. Make a mark at the water level line in the tubing. Double-check that the water level line at the other end of the tubing is still aligned with the leveling point. Slowly raise or lower the free end to adjust water level lines, if necessary. If the cut runs parallel to the edge of the board, draw the cut line by holding a pencil against a square at the proper width. Pull the square and pencil down the length of the board. 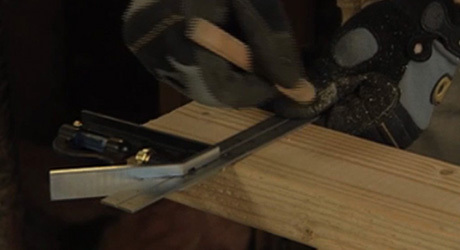 Miter cuts are angled cuts and are most often made at 45 degrees. 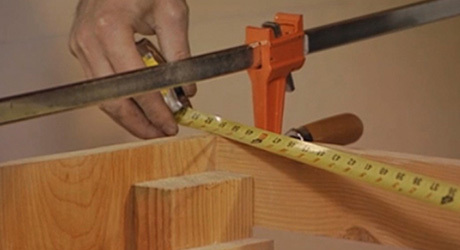 Start by measuring the longer side of the miter and setting your combination square or layout square on that mark. Then draw the cut line. Use a bevel gauge to mark odd angles (that is, not 45 or 90 degrees or other than a right angle or equilateral diagonal). Set the handle on the outside edge of the board and lock the blade. Then move the gauge to the place you want to cut and mark the line. 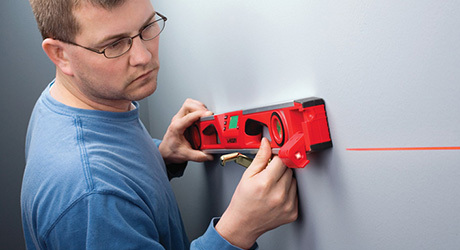 Make quick work out of establishing horizontal level lines with a laser level. Set the unit on a tripod and position it to throw the laser beam at the level point. 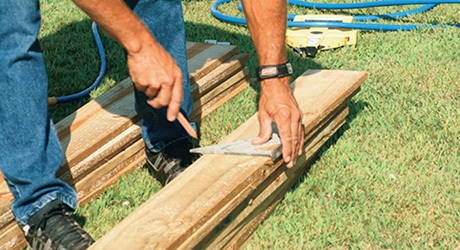 Mark the position of the line with a carpenter’s pencil. A post level will allow you to plumb posts in two planes at the same time (that is, on X and Y axes). 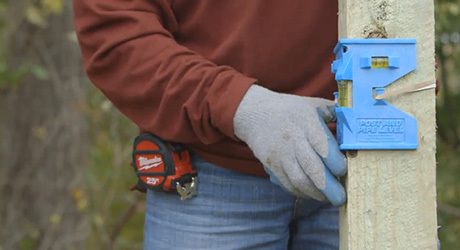 Strap the level to the post so you can watch the vials while you move the post. Brace the post when the bubbles in both vials are centered.